25 Ryde Road Pymble , Sydney NSW 2073, Australia. Soft cover, 268 pages, 24 colour photographs, 56 black and white photographs. This book probably seemed like a good idea at the time. "I read some of your reviews of books etc and would have to say that having just read Occy that you were too charitible. 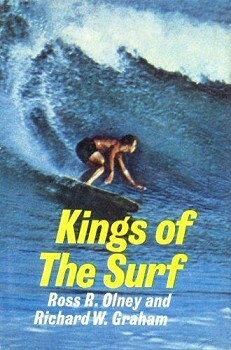 It would have to be the worst example of surf journalism ever!" Level 3, 100 Pacific Highway, North Sydney NSW 2060, Australia. Soft cover, 311 pages, black and white and colour plates. 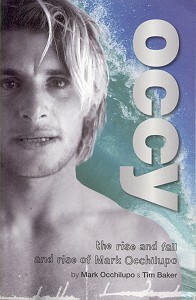 Detailing Occy's surfing career from Kurnell grommet to World Champion in 1999 and retirement. Vastly superior to the work that details the tour in 2000, noted above. Hard cover, 316 pages, black and white and colour illustrations and photographs, Acknowledgements, Notes, Bibliography, Credits. A beautifully presented book with extensive historical and high quality contemporary photographs. 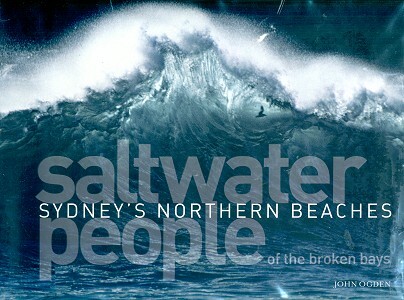 Part 1 examines the indgenious occupation of the Nothern beaches and the early years of European settlement, the second part lists and describes the geography and history of the beaches from Manly to Palm Beach, and Part 3 focuses on notable personalities and themes of the region. Of particular interest is the account of Gnung-a Gnung-a Murremurgan, who left Sydney aboard the Daedalus in 1793, to join the Pacific expedition George Vancouver, and visited, what is now, Tahiti, Hawai'i, Alaska and California, pages 57-58. Despite the inclusion of numerous footnotes, some contentious statements are unsupported, for example "Surfing had previously been observed by crew-members of the Dolphin in Tahiti in 1767," page 38. Similarly, note the photograph on page 97, credited as "Tommy Walker [left] and Snowy McAllister, Courtesy Manly Library." 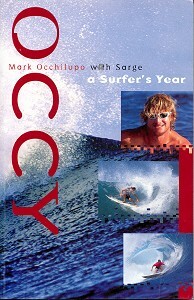 Manly Library accredits the surfer on the left only as "a surfer." - personal phone conversation, John MacRitchie, Manly Library Local Studies Librarian, 4th February 2013. While Ogden notes that Saltwater People were adept at swimming and canoeing for the harvesting of sea life, largely based on William Bradley (1788) and William Govett (1830), it is only by implication that surf riding was a recreational activity. 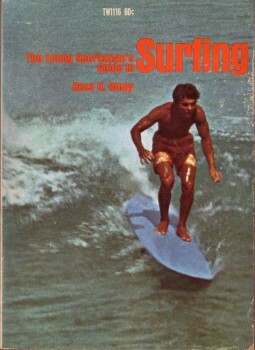 As in the case of other indigenous surf riding communities; such as India, Peru, West Africa, and on numerous Pacific islands; the skills of the Saltwater People were "a self contained prelude to surfing history, not the starting point." - page 39, quoting Warshaw: History (2010) page 22. 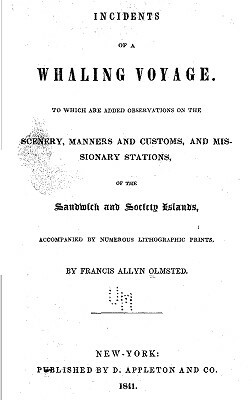 To which are added observations on the scenery, manners and customs, and missionary stations, of the Sandwich and Society Islands. New edition printed in 1969, with a preface by W. Storrs Lee. Hard cover, 360 pages, black and white illustrations. 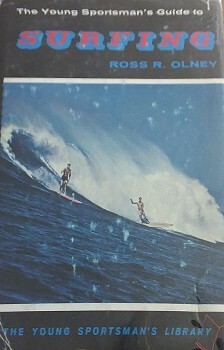 This book contains the first image of surf riding by same author and artist. Scholastic Book Services, New York. Soft cover, 96 pages, 52 black and white photographs, 1 black and white illustration, Glossary (Chapter VIII), Index. Very basic beginner's guide that has not been updated from the 1965 edition. The photographs are uncredited and uninspiring, although they are suitable illustrations of the text. Of most interest are the manufacturing photographs, pages 17 to 21. The illustration, page 14, is probably the worst template drawing of a surfboard ever printed. G.P. Putman's Sons, New York. Hard cover, 192 pages, black and white photographs, Index. 1969. Soft cover, pages , black and white illustrations, Contents, List of Illustrations, Glossary. The surfboard design and construction material is current (includes Thruster), accurrate, detailed and clearly explained and illustrated. Highly recomended.